It’s a hot one in the Front Bar basement this Saturday. The Dip has its last night, and the Danceteria’s going to the 90s. Perfect night to go late and loose with the Hai Life! 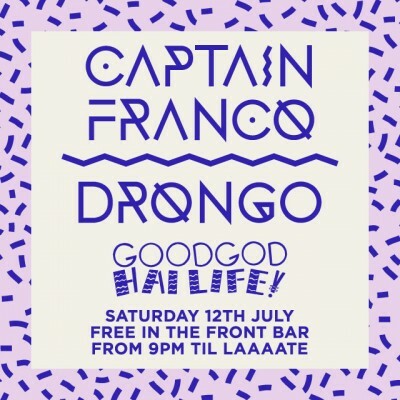 This week, Captain Franco steps away from the Halfway Crooks booth for his Hai Life! debut. He’s joined by evergreen Front Bar hero Drongo. Unstoppable jams await ’til very, very late.